We’re helping players connect their passions to careers in gaming. Disciplines range from Game Design to Finance, Data Science to Art, Engineering to Brand Management -- and all that’s in between. 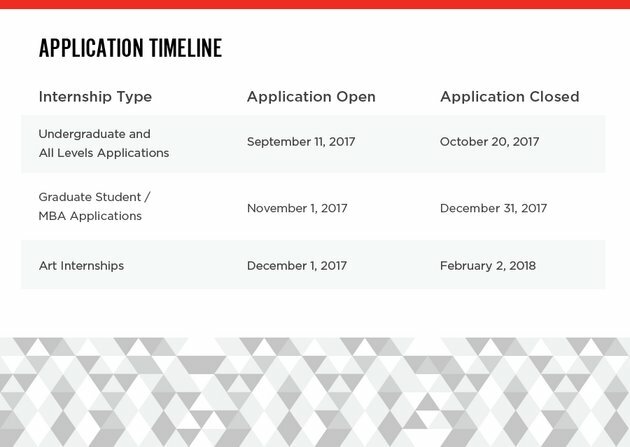 Our university programs include internships for undergraduates and graduates, talks we give on campuses around the globe, and classroom takeovers. We believe interns deserve the full-time Rioter treatment -- the opportunity to take on meaningful problems impacting over 70 million players, rather than fetching coffee. Interns come from diverse backgrounds, studying all things A to Z: Applied Physics, Biology, Business (MBA), Computer Science, Economics, English, Entertainment Technology, Ethics, Illustration, International Business, Management & Information Systems, Politics, Religion, Social Psychology, Statistics—well, A to S, but we wouldn’t turn away a kickass Zoology major! Interns nab honest mentorship during their time at Riot. We work with awesome people and sharing knowledge is part of our culture. You'll unlock access to classes through Riot University to level up your skills. You'll share your hard work with all of Riot during the Intern Science Fair, when you’ll get feedback from other Rioters and see the full scope of what your work impacts. Interns will get a chance to tinker and build at our no holds barred 48hr internal hackathon Thunderdome, where you can stretch the limits of your imagination and abilities. Explore the scope and impact of a Data Science intern at Riot. Find out more about the impact and work as an engineering intern at Riot. Every intern finds their own way to Riot, this is Jason’s. Marc Merrill and Brandon Beck set out with a vision to build a different type of game company. To make it real, they’d need help from a bunch of talented game industry vets. And a few interns. What's it like to intern at Riot? Found out about their first impressions from other interns! PLAYFUND: You'll sample a taste of this annual Rioter perk, with up to $75 to spend on games. We use it to fuel our slavering hunger to consume the newest and shiniest diversion; how you use it is up to you. Well, within reason. No matter how much you want to, Monopoly doesn't count. No, Matt, not even the Lord of the Rings Special Edition. RIOT UNIVERSITY CLASSES: In addition to what you'll learn from your team and day-to-day work, you can dive into Riot U classes and pick up some fresh leadership and self-awareness augments, or sign up for productivity coaching, professional moonsurfing tours, and more. HOUSING: Building a community with fellow interns is part of the summer experience, so we shell out for local digs a brisk walk from our offices. EVENTS: From coffee chats to lunch and learns to semi-regular mixers, there's plenty of ways to get to know your fellow Rioters. Looking for more info? Click below. No hay puestos para el filtro actual. © 2017 Riot Games. Todos los derechos reservados.